There is no better way than to start the day with an invigorating walk in the mountains. Having read great things about Mont-Orford National Park and only a fifteen minute drive from Sherbrooke where we stayed the night after our daughters convocation, we headed there. We parked at the main ski lodge, the lot was full, runners and hikers alike out enjoying the hot and breezy day. 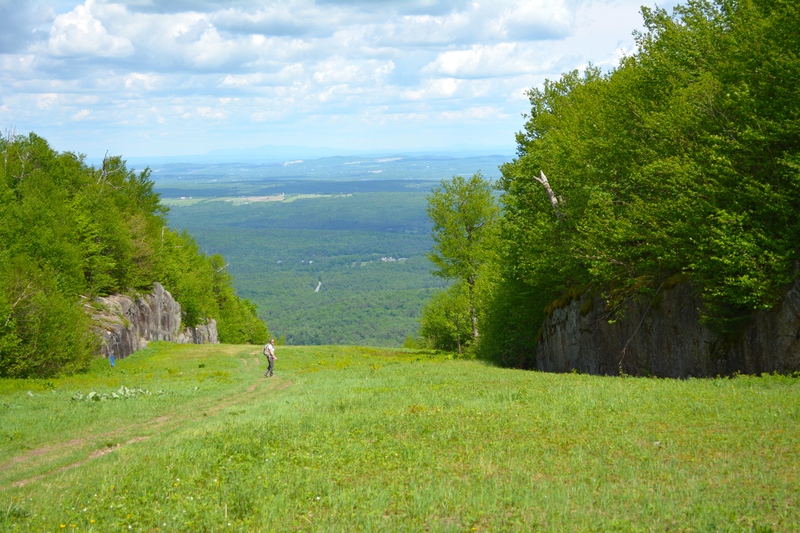 The hike up Mount-Orford, 853 m (2798 ft) was up the service gravel road, nothing like the natural paths we like to take. Nevertheless, the view was wonderful all the way up. As we continued to sweat along the steady steep incline runners would pass us by — a gentle reminder of our age and that we need to get in shape. Looking for the trail head to Le Sentier des Crêtes (Crêtes Trail) we had to come down the other side following a steep ski run. We found the trailhead mid-way back down the mountain. Leaving the ski run behind we hiked the classic Quebec trail, up and down along a ridge, through mature pine and maple forest. 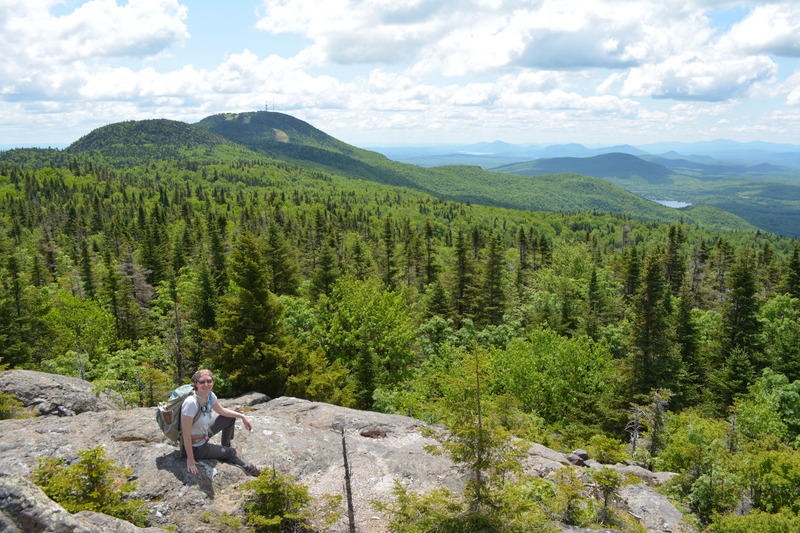 With many lookouts along the way, we made our way to Pic-de-l’Ours. 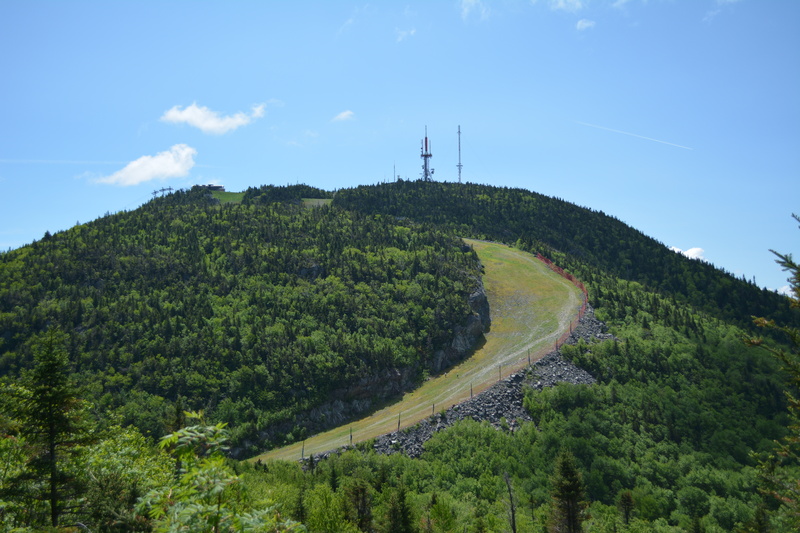 Though lower than Mount-Orford, at 745 m (2444 ft) the top offers fabulous 360 views of the region. The walk back seemed to go by faster. Back where we met the ski trail, the grass looked inviting and we took a break looking forward to the easy walk down. Ha, it was not easy, our knees were giving out on the steady downward descent. It was painful, we even walked backwards for a while to take the strain off our patellar tendons. It was hot and eventually we made it back to the car, exhausted. Nothing a couple of ibuprofen and a glass of cold white wine would not fix. Time to head into town. 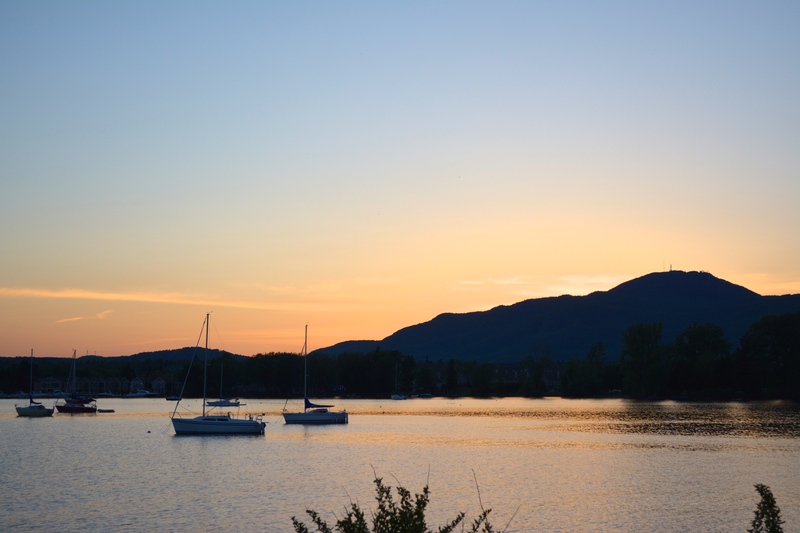 We booked a B & B in the town of Magog, at the northern tip of lake Memprémagog in the Eastern Townships region. 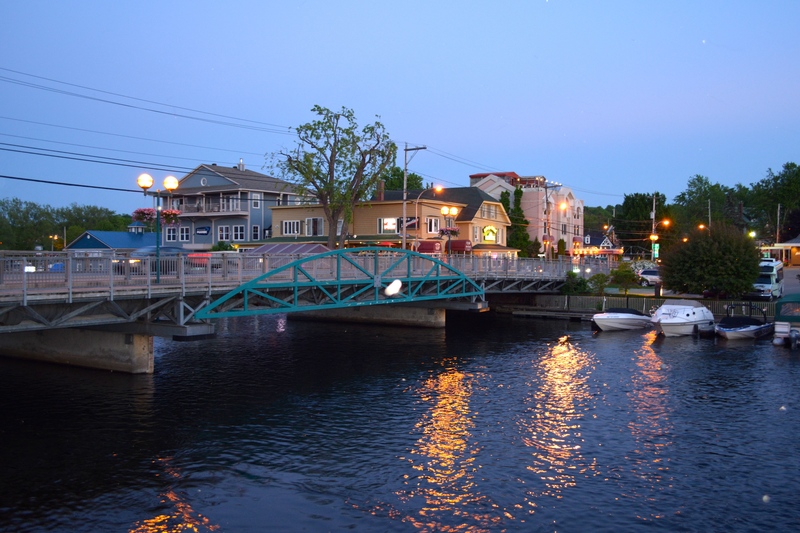 Though Magog is a city with a population of 25,000 people it has a small town feel. 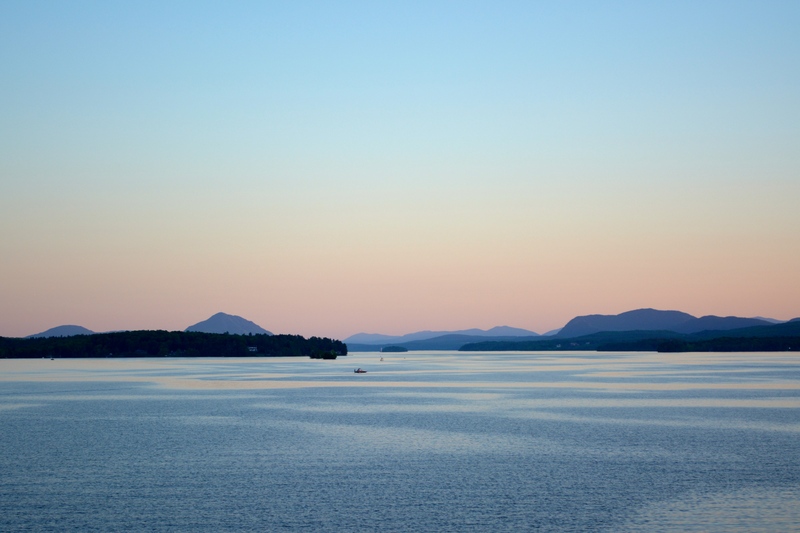 The lake Memphrémagog, 44,5 km long reaches the Vermont border at the other end. In town, we restaurant hopped sampling different appetizers, lingering on the patios while we watched the tourists stroll by. 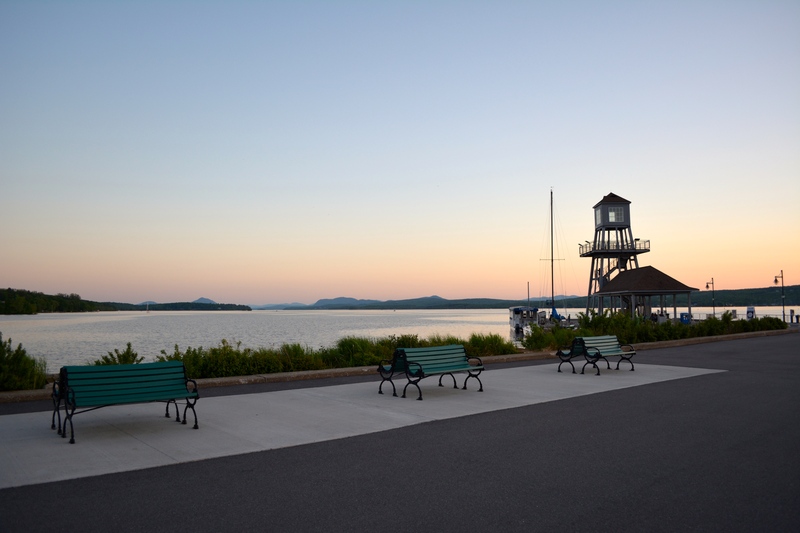 For the food lovers, famous Lac Brome duck, a local culinary specialty is found in many of the area’s restaurant menus from duck foie gras (pate), duck salad, to duck liver and duck breast. 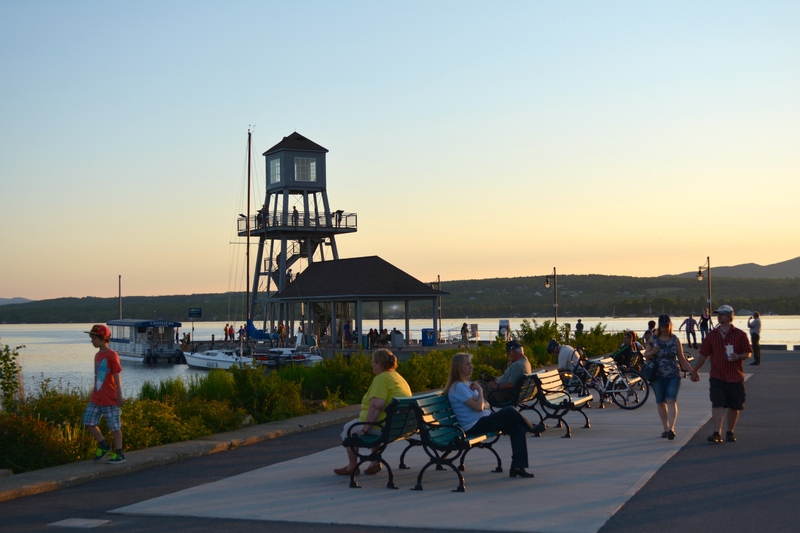 A stroll along the waterfront offers something for everyone; beaches, separate paved paths designated for pedestrians, bikes and rollerblading, volleyball courts, gazebos and a central dock from where you can climb the tower for views of the lake or catch a ferry-boat. 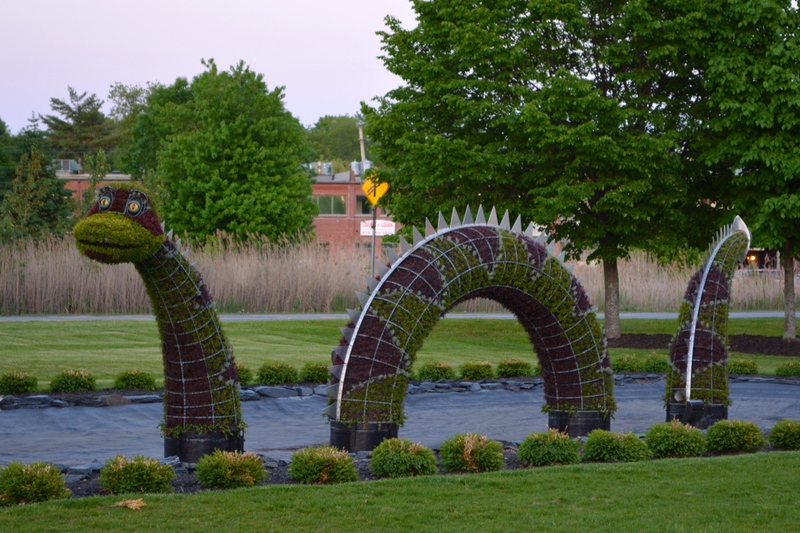 Touring the lake if you are lucky you might see Memphré, the legendary creature that’s been spotted for more than 200 years. Memphré, the legendary lake creature. Au Saut du Lit, our bed and breakfast was a three-minute walk to the ‘Rue Principale’. The hosts Diane and Yvan are very welcoming, pleasant and ready to offer suggestions on local attractions and restaurants. We had a nice, clean and quaint room with all the attention to details that you expect from a four-star accommodation. 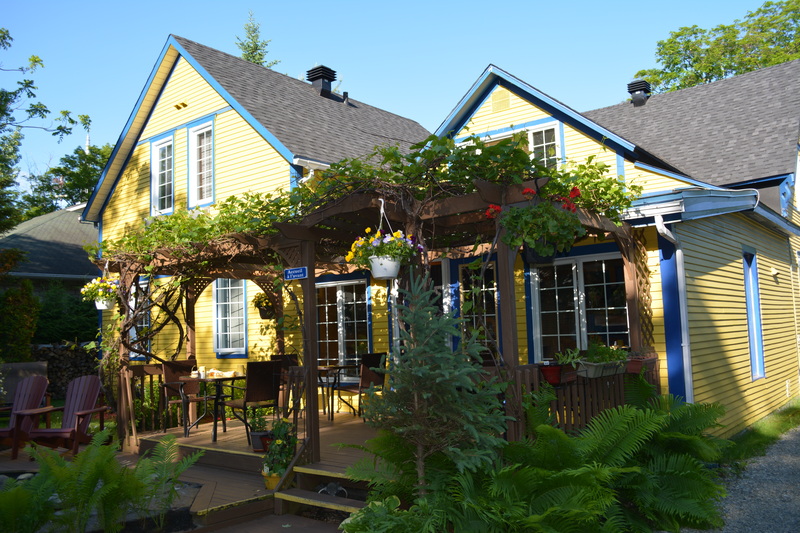 To the sound of birds, we ate a tantalizing breakfast of maple marinated strawberries, rolled ham and vegetable omelette gorgeously presented outdoors on the pergola covered deck. We’ve just discovered this area, however, our fantastic short stay gives us reason to return, visit and explore the region again. You’re absolutely right, going slower downhill than up is key and poles are always nice. We didn’t bring them along on this last hike thinking we didn’t need them–lesson learned!